The London Philharmonic Orchestra (LPO) participated in the South Bank Centre's year long The Rest is Noise festival which brought a welcome lift to the orchestra's programming, giving us the chance to hear it in works which sometimes moved away from the rather fixed core repertoire. The LPO's recently announced 2016/17 season is very much dominated by the orchestra's participation in another South Bank Centre year festival in 2017, the multi-artform Belief and Beyond Belief with 15 concerts built around five specially themed weekends, 'Meaning', 'Science', 'Death', 'Ideology' and 'Society' with works ranging from Krzysztof Penderecki's St Luke Passion and Beethoven's Fidelio to John Adams Harmonielehre and to Haydn's Creation, with a bit of 2001 A Space Odyssey thrown in, with many concerts conducted by principal conductor Vladimir Jurowski. 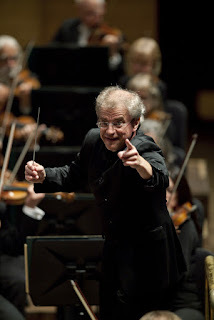 Elsewhere in the season Osmo Vänskä conducts a complete Sibelius symphony cycle in four consecutive concerts alongside renowned British concertos of the period. The season will also be celebrating the London Philharmonic Choir, as well as featuring seminal works by Gavin Bryars. For Belief and Beyond Belief, the 'Meaning' weekend includes Vladimir Jurowski conducting both Beethoven's Fidelio with Anja Kampa and Michael König, and Kancheli’s Mourned by the Wind with Kim Kashkashian, Martinů’s Memorial to Lidice and RVW's Symphony No. 9. 'Science' includes Roger Norrington conducting Haydn's The Creation and Andrés Orozco-Estrada conducting music by Ligeti and Strauss associated with Stanley Kubrick’s 2001: A Space Odyssey, and Ives's The Unanswered Question, John Adams's Doctor Atomic Symphony, and Philip Glass's first work for full symphony orchestra The Light, commemorating the 100th anniversary of the Michelson-Morley experiment on the properties of light. 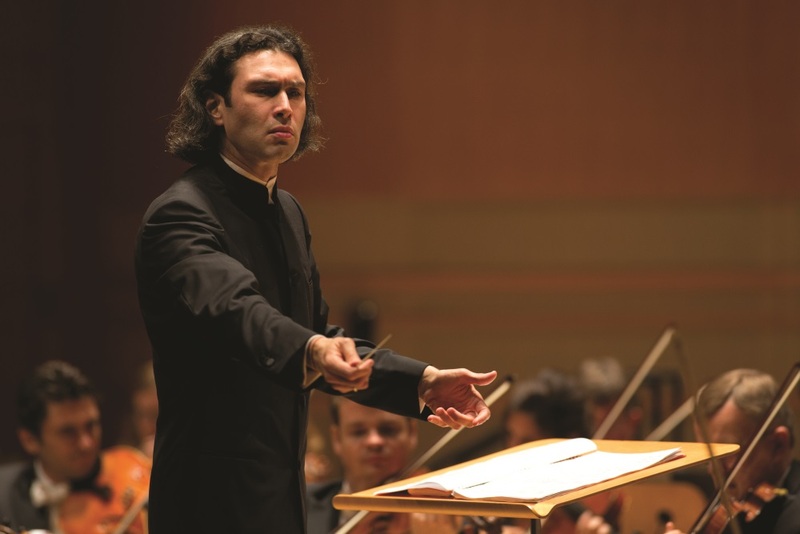 'Death' begins with Jurowski conducting Shostakovich's final symphony, the darkly comic no. 15, and a highly anticipated performance of Penderecki's St Luke Passion. Music by Gavin Bryars and Magnus Lindberg also features, plus Natalie Stutzman conducting Richard Strauss and Mozart. 'Ideology' includes Jurowski conducting Mahler's Symphony No. 8 and Tallis's Spem in Alium in the same concert! The final weekend in the 2016/17 season, 'Society' includes Beethoven's Ninth Symphony. Other concerts in the season will include Andrés Orozco-Estrada conducting a jazz themed concert including the premiere of jazz legend Wayne Shorter’s Clarinet Concerto. Osmo Vänskä conducts a chronological cycle of Sibelius symphonies teamed with Britten's Violin Concerto, RVW's The Lark Ascending, Elgar's Cello Concerto and Walton's Violin Concerto. Another theme running through the season is that of 'choral blockbusters', many of the works in the Belief and Beyond Belief are large scale choral works so over the year the London Philharmonic Choir and other guest choirs are showcased in Beethoven's Missa Solemnis, and Fidelio, Haydn's Creation, Penderecki's St Luke Passion, Mozart's Requiem, Mahler's Eight Symphony, and Beethoven's Ninth Symphony with a new choral work by Magnus Lindberg, the orchestra's composer in Residence. Gavin Bryars works for tape and ensemble, Jesus' blood never failed me yet and The sinking of the Titanic feature in a concert which also includes Steve Reich's Music for Eighteen Musicians. At Glyndebourne the orchestra will be performing in Wagner’s Die Meistersinger von Nürnberg, Rossini’s Il barbiere di Siviglia, Janáček’s The Cunning Little Vixen, Berlioz’s Béatrice et Bénédict and Britten’s A Midsummer Night’s Dream as well as having residencies in Brighton and Eastbourne. Education work is now the backbone of most arts organisations in the UK and at the LPO this continues relatively unseen by the average concert-goer. The orchestra works with the South Riverside Music Partnership uniting the music services of Southwark, Lambeth, Lewisham and Royal Greenwich, and in these boroughs it delivers projects aimed to place world-class music and musicians at the heart of individual daily lives. Schools work includes BrightSparks concerts for over 12,000 young people; a composition project for GCSE level students, New Horizons, which provides an opportunity to compose and perform alongside LPO players on the Royal Festival Hall stage; and the Creative Classrooms project which offers professional development for Primary teachers deepening professional skills in delivering music within the classroom. Current community projects include JTI Cross Partner project which aims to broaden access to the arts for groups of disadvantaged adults; beyond the classroom, a partnership with Trinity Laban through the Animate programme working with young people from its four boroughs to create music with the LPO and visit the orchestra at its home, the Royal Festival Hall; and LPO Soundworks, a creative community for young composers and instrumentalists aged 14 - 19 who team up with similar groups from dance and theatre to create cross-platform interdisciplinary performances. Of course for most of us, any exposure to the orchestra's education programmes is likely to be through its emerging professionals projects. Foyle Future Firsts Development Programme bridges the transition between college and the professional platform for up to 16 outstanding young players, offering a chance to attend rehearsals, receive lessons and play side-by-side with LPO players, as well as the opportunity to take part in Education and Community projects; and, the Young Composers scheme, which selects five young composers to provide them with an opportunity to workshop and compose a new work for the combined forces of the Foyle Future Firsts and members of the LPO, all led by Composer in Residence, Magnus Lindberg. Funding for three years comes from the Leverhulme Trust, so the composers will be known as the Leverhulme Arts Scholars, and Adam Mickiewicz Institute continues to fund a place for a Polish composer on the scheme. Full information from the LPO's website.